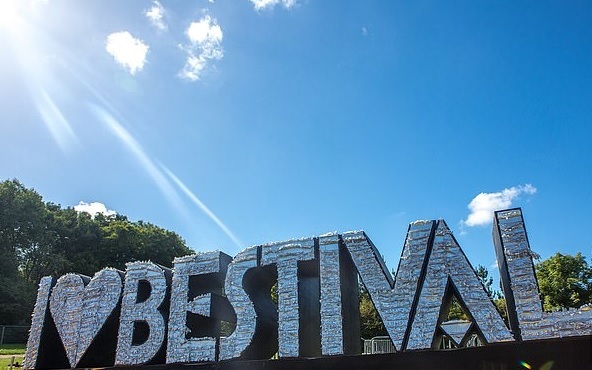 The theme was ‘The Year of Colour’, and to the 35,000 revellers who paid £200 to spend four days and nights partying at an ‘enchanted wooded country estate on Dorset’s Jurassic Coast’, last year’s Bestival was quite the riot. Inside the grounds of Lulworth Castle were vast neon temples, exotic troupes of fire-breathing dancers, fairground carousels, a towering helter-skelter, and thousands of enormous multi-coloured flags, swaying in the breeze. Opposite the booming main stage, where acts including Dizzee Rascal, Annie Mac, and the Pet Shop Boys were due to perform, was an eclectic collection of modern art installations, alongside the festival’s most striking landmark: a huge mirrored glitterball, 30ft high. It was next to this sculpture that, at around 5pm on the second night of the notoriously Bacchanalian annual gathering, security staff spotted something sinister: two men engaged in what looked very much like a drug deal.When they raised the alarm, the furtive duo fled. After a short pursuit, one was apprehended. He was then escorted to a so-called ‘eviction tent’, where crooks and troublemakers are taken for processing. 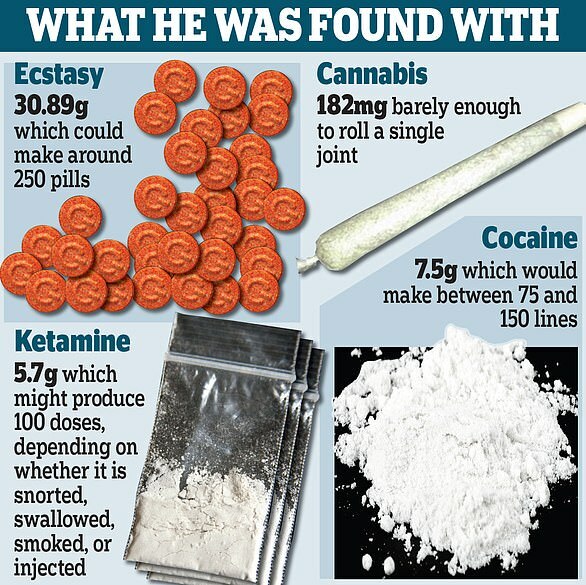 At this point, a routine search revealed that the man was carrying an industrial quantity of illegal narcotics, including 30.89g of ecstasy, the equivalent of around 250 pills, 5.7g of ketamine, which might produce 100 ‘hits’, a small amount of cannabis, and 7.5g of cocaine, which would make between 75 and 150 ‘lines’. All told, the stash was worth around £2,500. Police were called, and at around 6.20pm the man was put into handcuffs. Fast forward 13 months, and on October 19, the drug dealer, 29, found himself at Bournemouth Crown Court, pleading guilty to three counts of possession with intent to supply class A and B substances, and one count of possession. On paper, these are very grave crimes, for which culprits can face anything up to life imprisonment. Their status is designed to reflect the devastating toll to society of the narcotics trade. Indeed, later during 2017’s Bestival, a 25-year-old woman, Louella Fletcher-Michie, the daughter of Holby City actor John Michie, died after taking ketamine, MDMA, and a drug called 2C-P. But not every culprit gets the book thrown at them. And when it came to this particular court case, the 29-year-old drug dealer got very lucky indeed. Thanks, in part, to his high-flying London lawyer — a swanky solicitor who used to work for one of the so-called ‘magic circle’ of law firms — CPS prosecutors decided to accept that he was carrying the vast stash of drugs on behalf of unnamed ‘friends’, and did not actually intend to sell them for profit. 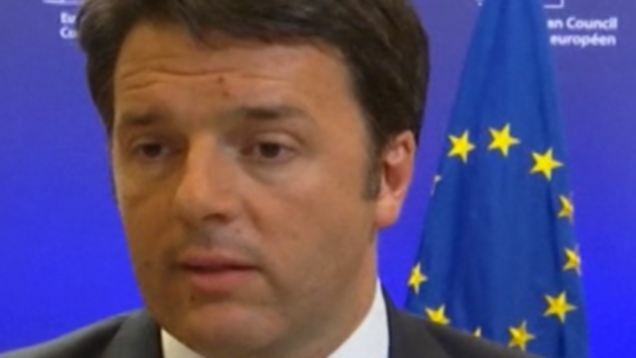 [yeah right!...ed.]. This helped him avoid going to prison. Although the judge, Stephen Climie, said a normal sentence would have been three to four years, he allowed the young man to walk away with a mere 200 hours of community service.Judge Climie reached that decision after reading five letters supplied by the defence. One is believed to have been a note of apology from the 29-year-old accused. The others were apparently character references from four unnamed acquaintances. They convinced him that the defendant was a ‘privileged’ young man who had enjoyed many ‘opportunities’ in life and who had come to ‘appreciate the gravity of his situation’. This little exercise in modern justice might never have come to wider attention were it not for two important facts. First, a local news agency reporter just happened to be in court that day. Second, the convicted drug dealer who got off so lightly turned out to be a Labour councillor from North London who also works in Parliament as a senior aide to his mother, a prominent front-bench Labour MP. The crook’s name is Ishmael Osamor and in Jeremy Corbyn’s Labour Party, he’s something approaching royalty. His mother is Kate Osamor, the Shadow International Development Secretary, who nominated Corbyn for the leadership. His grandmother, Martha, is a race-relations campaigner and long-standing chum of Corbyn (they met when she was a hard-Left deputy leader of Haringey council in the Eighties), who was recently given a Labour peerage. On the professional front, young Ishmael earns up to £49,793 a year working in his mother’s House of Commons office. At the time of his conviction, he also belonged to a slate of candidates from the hard-Left pressure group Momentum who were recently elected to Haringey Council (a role that generates another £11,000 a year). In any sane world, a serious drug conviction would of course disqualify anyone from public office. Yet in today’s Labour, things appear to be different. Scandalously, however, Osamor today remains very much on the public payroll. For he continues working for his mother in the Commons, at an ongoing cost to taxpayers of several thousand pounds a month. This perverse state of affairs exists because Kate Osamor is refusing to sack him. Indeed, at some point after his arrest, she appears, in fact, to have promoted him: though Ishmael originally worked as her ‘senior communications officer’, paperwork filed with Haringey Council a few months ago stated that he was now her ‘Chief of Staff’. Defending his continued employment, the shadow minister has argued that her drug-dealer son ‘has admitted what he did was wrong, and apologised’. Perhaps unsurprisingly, however, that isn’t remotely good enough for critics. 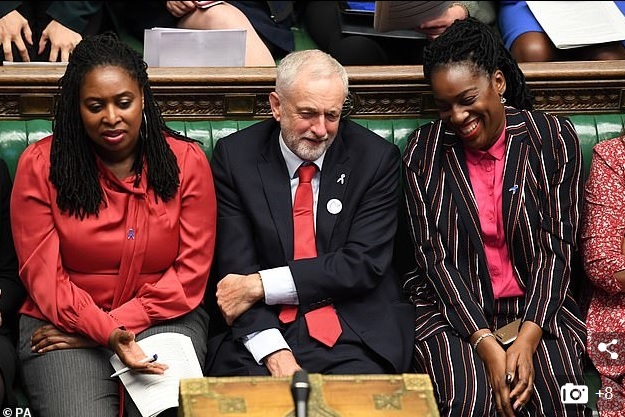 Tory MP Anne-Marie Trevelyan this week reported Kate Osamor to the Parliamentary Commissioner for Standards, claiming that she has brought Parliament into ‘disrepute’. Former international development secretary Priti Patel called on her to resign, saying she ‘cannot continue’ in a role that ‘involves working with international organisations and crime agencies combating drugs’. Simon Hoare, a Tory MP, used a point of order in the Commons to ask authorities to review whether Ishmael’s Westminster pass ought to be revoked (the Speaker, John Bercow, replied that it’s a matter he will review). Quite where this shoddy affair will end is anyone’s guess. But like many political scandals, it now revolves around a host of so-far-unanswered questions. Many concern what, exactly, Kate Osamor knew about her son’s drug arrest, and when. According to various statements put out by the Labour Party, the shadow minister only heard about the whole thing when the Mail reported his conviction late last month. In other words, they say Ishmael — who not only works full-time in Kate’s office, but also lives with her in a £700,000 housing association property near Turnpike Lane in North London — kept his mother entirely in the dark, for 13 months. Mrs Osamor, the argument goes, was therefore unaware of her son’s ugly secret when, among other things, she nominated him as a Labour councillor late last year. We must, of course, take her at her word. But if she wasn’t in on the dark secret, who exactly were the four persuasive people who wrote character references that were handed to the judge who decided not to jail Ishmael? They must, after all, have been seriously impressive individuals: as I noted earlier, the judge chose (after reading the letters) to describe him as a ‘privileged’ young man who had enjoyed many ‘opportunities’. Then there’s the small matter of who, exactly, paid for the services of the extremely expensive barrister who represented Ishmael Osamor in court. He’s an Oxford-educated lawyer called Mohsin Zaidi who is an expert in ‘corporate crime and investigations’, and was in 2016 named in the Financial Times list of ‘outstanding future leaders’. On paper, Ishmael Osamor doesn’t have that sort of cash. Despite his generous public salaries, he appears to be in significant financial difficulties, with two outstanding County Court Judgments registered against his name — one for £1,311 dating back to 2015, and one for £175, dating back to 2014. Kate Osamor, of course, says she wasn’t aware of the trial, so surely can’t have been paying Mr Zaidi’s fees. Which is just as well because she, too, has an outstanding County Court Judgment against her name, for £476. Wherever the truth lies, this mess also provides a sobering insight into a culture of outrageous nepotism on a Labour frontbench where both John McDonnell and Jeremy Corbyn provide gainful employment to each other’s sons. For an extended look at Ishmael Osamor’s life and times reveals very little about his political career that isn’t a direct product of his upbringing. Born Ishmael Ngozi Udi, the product of the then 21-year-old Kate’s relationship with a painter and decorator from New Cross called Kim Udi, he grew up in Tottenham and attended Fortismere School, a highly regarded state secondary in Muswell Hill, some three miles from his family home. Fortismere regularly tops exam league tables and is regarded as a magnet for pushy parents. Sadly, though, it was not to be. Instead, Ishmael drifted through a number of jobs after leaving school, setting up a removals firm called Simple Movers in 2009 (it ceased trading in 2012) and a fashion company called Pharoah London in 2012 (it shut up shop in 2015). Both were structured as Limited Liability Partnerships. This means it’s impossible to establish how much money, if any, ended up in their coffers, or where exactly it came from. Nonetheless, it seems unlikely that Ishmael was living particularly high on the hog: his registered address remained at his mother’s Tottenham home. Then came a big break. 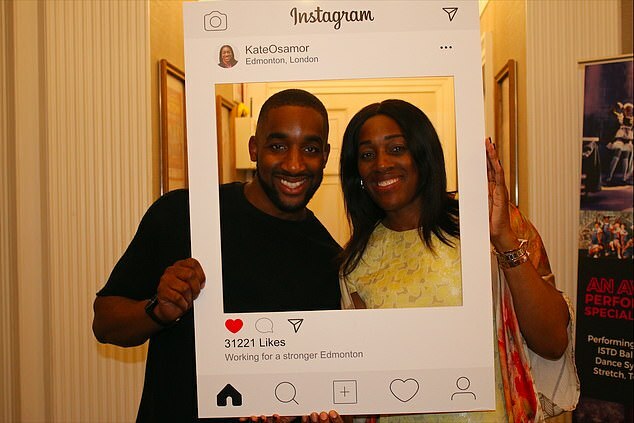 At the 2015 election, Kate Osamor, a Labour activist who worked as a GPs’ practice manager, was selected by Labour to contest the safe seat of Edmonton, effectively a lucrative job for life. Within a few months, she brought Ishmael onto the payroll, registering him as her ‘senior communications officer’ in April 2016. Why did court accept £2,500 festival drugs haul was not for sale? 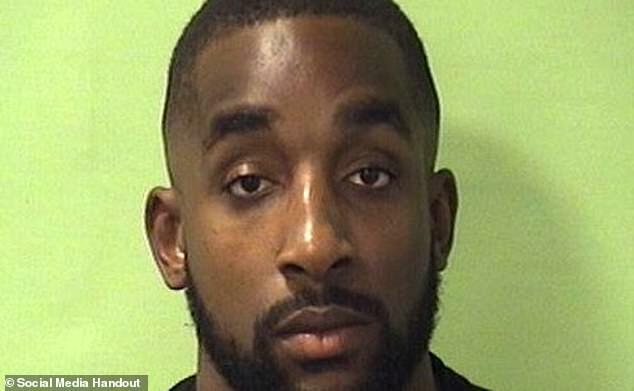 Ishmael Osamor was spared prison after his barrister persuaded prosecutors he was not planning to make a profit from his £2,500 haul of drugs. [unbelievable when he was allegedly seen doing a drug deal at the festival which led to the police being called and his arrest!! - read earlier a/c of this above!...ed.]. Judge Stephen Climie, who has a history of sparing drug users from prison, said the 29-year-old was lucky to avoid a four-year prison term and sentenced him to 200 hours of unpaid work instead. The judge’s decision was condemned last night by Mary Brett, chair of the anti-drugs group Cannabis Skunk Sense. 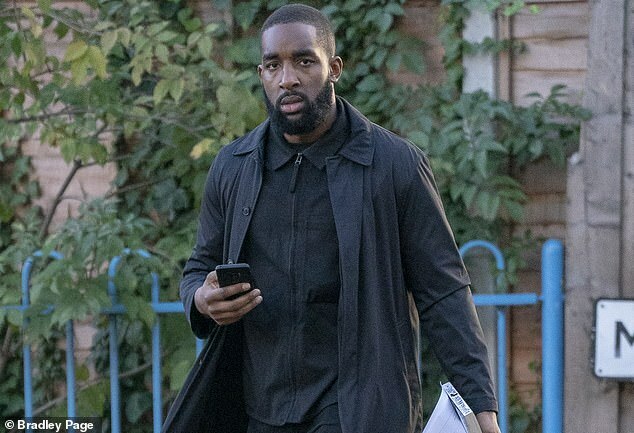 Osamor pleaded guilty to four drugs charges after his barrister Mohsin Zaidi struck a deal with the Crown Prosecution Service at Bournemouth Crown Court. 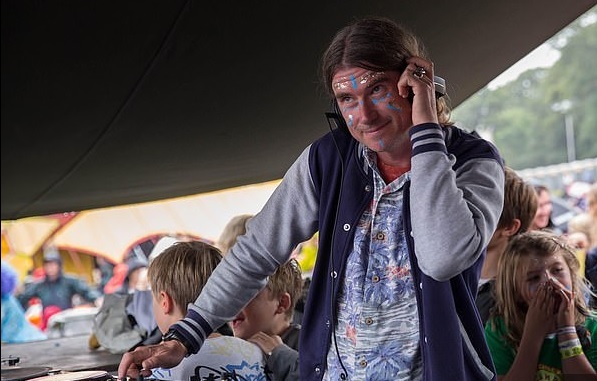 The former Labour councillor had been caught with 30g of ecstasy – a class A drug blamed for a string of deaths at music festivals – as well 7.5g of cocaine, 5.7g of ketamine and a trace of cannabis at least year’s Bestival festival in Dorset. Incredibly, he was let off prison as the drugs were for his personal use and for his friends. The court was not told how many friends were with him. Yet if others failed to rate her son, Kate Osamor certainly did: late last year, he was nominated for the ‘Labour Parliamentary Assistant of the Year’ award, attending a glamorous bash at the Sheraton. Around the same time, further opportunity knocked, thanks to a Momentum putsch in Haringey which saw a raft of long-standing Labour councillors ejected in hostile circumstances. Ishmael was involved as one of several Left-wingers to file a formal (critics say vexatious) complaint to party officials over comments critical of Momentum made on Facebook by one of the councillors, 84-year-old Sheila Peacock. At the ensuing selection meeting, where Ishmael was selected as a Labour councillor, Kate Osamor turned up to lobby local activists. His inevitable success, however, created an immediate problem: Labour rules require prospective councillors to declare anything that might damage the party’s reputation. Ishmael had the drug arrest hanging over him. It seems nothing like that was declared. Five months later, he was a Labour councillor, on a handy £11,000 a year. Quite what he actually did for this cash is, however, anyone’s guess: he failed to show up to several key meetings. Ishmael’s entry in the Haringey register of interests betrays similar sloppiness. At one point, he formally denies holding a post in any organisation, ‘including a trade union’, which seeks to influence public policy. However on his election leaflets, he’d boasted of being a trade union rep for the ‘Unite Parliamentary Branch’. Despite this inglorious track record, an attempt was, scandalously, then made to get him an extra £5,000 a year for taking up a role helping ‘engagement’ between the council and residents of the notorious Broadwater Farm estate. The bid, backed by Labour’s council leader, was blocked by Haringey’s Standards committee. But for now, his more lucrative career, as his mother’s aide, remains firmly on track. ‘Obviously, this is completely indefensible, and in any sane world, he’d be booted out,’ says one moderate Labour source. Mrs Osamor has, by the way, spent recent days blocking political journalists from her social media feeds, and claiming that coverage of her son’s drug-dealing conviction is somehow racist. [what total bs...ed.]. Time will, of course, tell whether this tactic succeeds. In the meantime, it seems nepotism will continue to help a convicted criminal who took £2,500 of illegal drugs to a music festival earn a comfortable living in Parliament. And we are all required to foot the bill.